You are here: Home / Obituaries / George E. “Bud” Becker, Jr.
George E. “Bud” Becker, Jr.
George E. (Bud) Becker Jr., 87, of Lititz, PA, passed away on Sunday, January 13, 2019, after a lengthy illness. Born in Buffalo, New York, he was the son of the late George E. and Louise M. Becker. He was the devoted husband of Joyce Noeltner Becker to whom he was married for 66 years. He will be lovingly missed by his four children: Stephen E. (Susan) of Millersville, Kathleen Brubaker of Denver, PA, Paul G. of Mountville, and Michelle L. (Carl) Petticoffer of Ephrata. Also surviving are 8 grandchildren and 9 great grandchildren. He was predeceased by his sisters, Martha Fierle and Irene Harding, and brother, Elwood Becker. George was an employee of Armstrong World Industries for 39 years serving in several managerial positions. 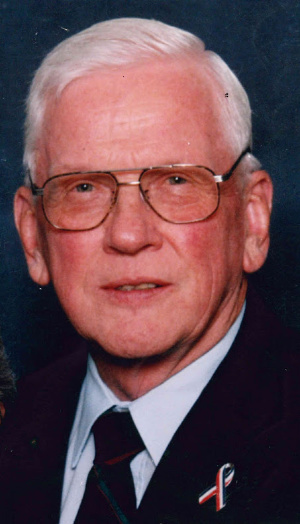 He was an active member of St. James Episcopal Church where he served as a life member of the vestry, a Junior Warden, head of ushers, as a volunteer in the Anchorage breakfast program, chair of the Memorial Committee, and co-chair of the Every Member Canvas. He was a member of the Board of Directors, vice-president and chair of the annual fund drive of the Rohrerstown Fire Company. He was a volunteer serving the Heart of Lancaster Regional Medical Center in Lititz, Pennsylvania. He also served as a volunteer at Moravian Manor, where he resided with his wife upon his passing. He was a member of the Officials Club of Lancaster serving as an official for swimming, diving, and track. He enjoyed sports; particularly golf, squash, racquetball and tennis as well as photography, bridge and reading. George graduated from the Virginia Military Institute (VMI – Lexington, VA) in 1952 with a BS degree in Physics after which he served in the United States Air Force during the Korean War. He was honorably discharged with a rank of 1st Lieutenant. The family would like to express their sincere appreciation to the staff of Moravian Manor and Masonic Village Hospice for the care they provided. A celebration of George’s life will be held at Moravian Manor, 300 W. Lemon Street, Lititz, PA, on Friday, January 25, 2019, at 11 A.M. Family and friends will be received from 10 A.M. until the time of the service. A private interment will take place in St. James Episcopal Church’s Memorial Garden at the convenience of the family. In lieu of flowers, memorial contributions may be sent to the Moravian Manor Benevolent Care Fund, 300 West Lemon St., Lititz, Pa. 17543 (moravianmanor.org) or Masonic Village Hospice, One Masonic Drive, Elizabethtown, Pa. 17022-2219 (masonicvillages.org). Offer Condolence for the family of George E. “Bud” Becker, Jr.
I’m so sorry for your loss, Michelle and Carl. May your fond memories sustain you in the coming days. Holding you in the light. I’m saddened to hear of the loss of your dear father, as his passing marks a time we never hope to see. My wish is that fond memories allow you to smile more in the coming days as you and your family grieve, each in his own way. I am so sorry to learn of Bud’s passing. Please accept my condolences for your loss. Bud was a devoted member of St. James, and I always enjoyed our conversations. So sorry and sad to hear of the passing of Mr. Becker . He was one of the awesome parents in the Hillaire neighborhood … such fond memories .. I was saddened to learn of Bud’s passing. I know his illness impaired his ability to enjoy life the past few years, but he will be missed! He had a good sense of humor coupled with some real wisdom about life, and that combination made every encounter with him in the office both pleasant and meaningful. I remember being grateful that he and Joyce put their faith in that young doctor when he opened a practice at Oyster Point back in 1985. It was a real pleasure to care for such a great family, and that includes their children. You are in my thoughts and prayers. So sorry to hear about George’s passing. I worked with him at Armstrong and we also played tennis in a group for a good while. He was a pleasure to be around, smart and pleasant at work and fun on the tennis court. I am very sorry to hear of your Dad’s passing. Pat and I have fond memories of your Dad. He was an official at many of our children’s swim meets over at least 10 years. At Armstrong, one couldn’t find a better person to work with or someone that offered suggestions openly ad unselfishly. Our best wishes to you and your family during this time of sadness.